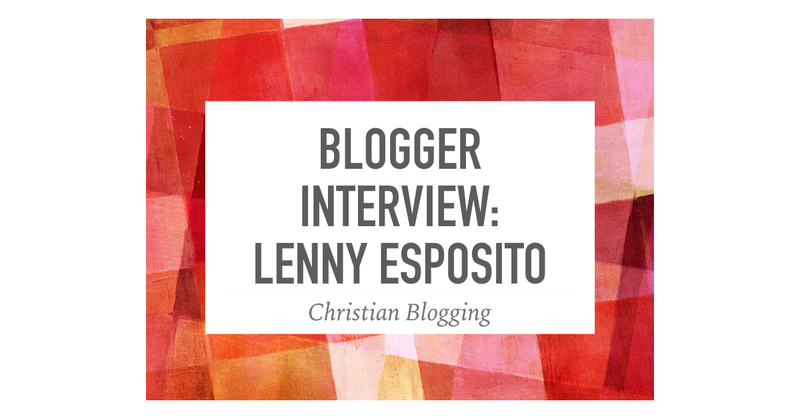 As I evaluate and rank a variety of apologetics blogs, Lenny Esposito’s Come Reason is always near the top of the list. Lenny dos a great job of presenting Christianity in a reasonable way, both on his blog and his podcast. I appreciate that Lenny took the time to answer my questions. We can all learn from his experience. How did you first get interested in blogging? I first began ministry online in 1995, launching one of the first apologetics web sites. The format was to be a kind of “Bible answer man online” where people would submit questions and I would answer one each month. As the questions became more nuanced or complex, I found my answers were getting longer and longer. I also found there were things I wanted to comment on that weren’t being asked. So, I launched a blog entitled Come Reason’s Apologetics Notes in April of 2004. 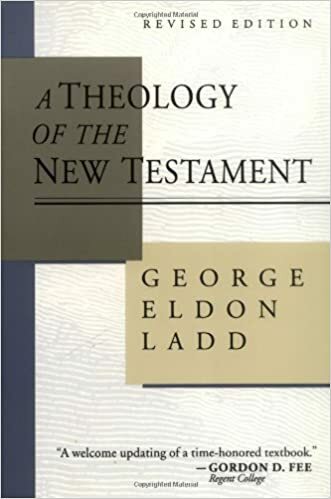 I attended it sporadically at first as I saw it as an adjunct to the web site, but with some regular attention, it quickly became the central draw for audiences. 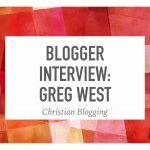 Do you see any specific challenges or opportunities that are unique to Christian blogging? Time is always a factor. Blogging can be very successful if you stay timely and relevant. That means discussing items people are talking about right now, which means writing quickly. However, as Christians we are called to excellence in that we’re ambassadors for Christ. As His representative, I must make certain my facts are right, I’ve fairly stated the position of the other side, and that I’m neither caricaturing nor overgeneralizing a position I may be criticizing. That’s tough! Proper research isn’t conducive to posting speedily, but it’s necessary. Along those same lines, we must always be charitable in our posts and in our follow up conversations. The “gotcha” post is easy, with inflammatory rhetoric designed to have those on “our side” cheer while calling the other side idiots. We see a lot of this in political posts—think Ann Coulter. 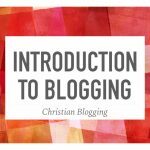 But ultimately, blogging for an apologist is not only about building up the community of believers, but it is also an act of evangelism. So, our tone and our ability to not demonize those with whom we disagree is vital. Lastly, I think Christian bloggers need to be self-critical. Can we criticize our own positions? Do we dare take up contrary positions from those pundits or personalities popular even with our readership when they are wrong? All these things play into my approach to blogging in a way that honors God and ministers to my readership. You have a podcast as well as a blog. How do those two parts fit together? The podcast is very helpful in that I can draw content from it. My podcast launched in 2006 and has been pretty consistent every week. When I finish a podcast series, (usually a single teaching is broken up into four weekly episodes)I can post the entire series on my blog as a single page, giving people who aren’t subscribed an easier way to listen to the entire thing in context. But I have also summarized portions of those podcasts into articles. It’s been helpful to take a bullet-pointed outline and write out an intelligible article which forces me to carefully think through the implications of those points. And the flip side is true as well. I’ve seen articles become very popular and said, “This would make a good topic for teaching and a podcast.” So it helps content both ways. What advice would you give to someone interested in starting a podcast? Podcasts are easy to start since they really don’t require a lot of equipment up front. I would say that you want to be prepared before recording. Editing can be a drag and the more well-prepared you are, the less editing you will have to do. If you are already generating other content, such as teaching a class or writing on a topic for your blog, use that to feed your podcast. 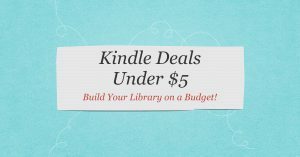 One big thing is to be consistent in your publishing schedule. My podcast comes out every Sunday like clockwork. Because that regularity is so consistent, my listenership keeps growing and the podcast gains followers. What is the most important lesson you have learned in your years of blogging? Frequency is key. If you really want to develop an audience, you will have to publish at least three times a week. That’s just a fact. There is so much that pulls on a person’s attention these days and so many competing channels that in order to be noticed, you need that level of frequency. The algorithms that all social media platforms use favor those persons and destinations that prove to be more popular. That means just because you broadcast you have a new post on Facebook doesn’t mean a whole lot of people are seeing the link to your article! The same is true for Twitter, Instagram and the other platforms. But the more content you have, the more likely you will get clicks, which boosts interest and grows you exposure. I’m not saying you can’t blog if you plan on blogging once a week or so. I think those blogs are fine, but they won’t see their level of readership rise to the same level as someone who posts multiple times in a week. The weekly or monthly content becomes more like any other article on a web site; it’s there but people may not see it. What piece of advice would you give to an existing blogger to help set them up for success? Set a schedule. Find out the best time to write and then stick to it. You have to learn to write even when you don’t feel like it. Sometimes that means shorter posts or simple ideas. But you will find the more you write the better your writing will become. Also, learn ways to mine new ideas. If I’m reading a book or listening to a podcast and disagree with an answer given, I will turn that into a blog post. Many times as I read articles online, I will simply copy the link and a sentence or two about what I’m thinking and paste them into a Word document. I have a long list of these which I use for blogs on days where I have no idea what I‘m going to write about. Lastly, if you do have a good idea and you feel animated about it, try to write it out that day. Sometimes striking when the iron is hot helps to get the blog out of my mind and onto the screen. I’ve found that it’s harder to get that excitement about and idea back to the same level I initially had which makes the writing process longer. So if you can put it down when you’re really working through it, you make it easier on yourself.